On September 13, 2010, New York State Governor David Patterson signed the Dignity For All Students Act into law; the law went into effect this past July in all public school districts throughout the Empire State. Techtonic Theatre Member Leigh Fondakowski (played by Grace Trepasso – left) interviews community members from Laramie, Wyoming, (Alexis Pawlewicz, Paige Havener and Steven McDougall) following the brutal kidnapping, torture and murder of college student Matthew Shepard. The scene is from Quirk’s Players fall production, The Laramie Project. In helping to promote the Dignity For All Students Act, Quirk’s Players of G. Ray Bodley High School is taking a bold step. They will present the critically acclaimed production The Laramie Project this fall. The story is based on the kidnapping, assault and murder of Matthew Shepard, a 21-year-old gay college student in Wyoming. Shepard’s murder in 1998 garnered national attention when it occurred and spurred hate crime legislation. The production is based on interviews conducted with members of the Laramie community over the course of the year following this heinous crime. Quirk’s Players hopes this production will emphasize the importance of acceptance and dignity for human life. The Laramie Project will be presented October 26 and 27 in the G. Ray Bodley High School Auditorium. 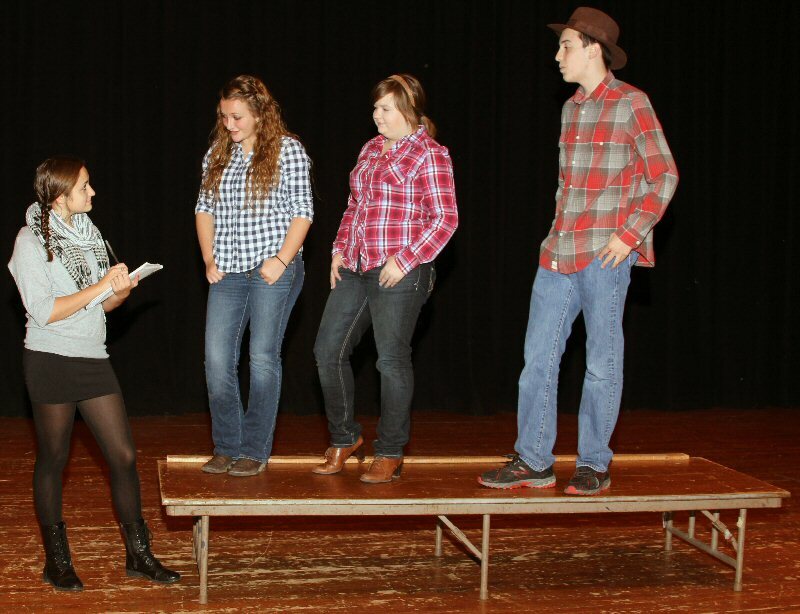 The Laramie Project is rated PG-13 and is intended for mature audiences.